The healthcare industry is one of the few career fields that, despite the difficult economic times, is growing at a rapid pace. Questar III provides adult students with courses that will advance their skills and increase their employability in high-demand healthcare careers. 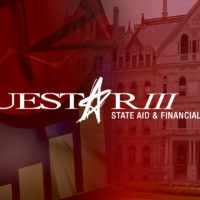 An official transcript, bearing Questar III’s seal, is a document required by colleges, universities and prospective employers. Unofficial transcripts are not sealed. A transcript is sent only with the written request of the student. Transcripts will not be released for those students who have financial obligations or student loans in default. By federal law, e-mail requests cannot be considered consent for release of transcript information. Transcript requests will be processed within 5-7 business days. Incomplete Transcript Request Forms will not be processed and will be returned to the student.